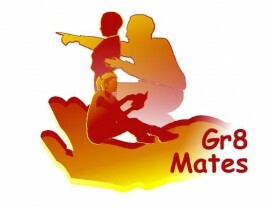 GR8 Mates School-based Mentor Program - the best! 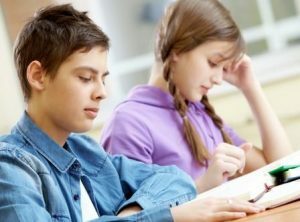 The mission of the GR8 Mates youth mentoring program is to support young people, aged 14 or 15, to stay connected to the school, to feel safe and secure, to investigate their post-school options and to make positive life choices that enable them to become the best they can be. The GR8 Mates youth mentoring program envisions a community in which young people experience nurturing one-to-one relationships and community support, which in turn allows them to become the best they can be, capable of making informed, responsible decisions as they transition through school to further education or directly to the workplace. Please contact Robin Cox for further information. The GR8 Mates youth mentoring program, a school-based program, was trialled successfully in New South Wales, Australia, under the auspices of The Schools Industry Partnership (SIP) a not for profit organization providing career development and transition programs, with a specific focus on Senior School students (aged 12 to 19). The GR8 Mates youth mentoring program followed all the Internationally credible Quality Assurance Standards. Volunteer adult mentors, aged 21 and over, met selection criteria and attended a 21 hour mentor training program (in 2017 adapted to a 16 hour training program) which was followed by a short discussion with the Trainer to ensure that the volunteer was both suitable and ready to mentor adolescents. The participating School appointed a Coordinator to facilitate the running of the program. Volunteer mentors were paired with students, mostly linked to interests and hobbies, after some short matching, fun and educational activities. In the majority of cases the mentee (student) was matched with their first or second choice after meeting all the volunteers. The volunteers met the students once a week during Term time for an hour. A Student Handbook, containing a variety of suitable activities, was used as a guideline for mentors to ensure that the Mission and Vision of the GR8 Mates program were being adhered to. Towards the end of the school academic year a closing gathering was held to celebrate the mentoring partnerships, with mentors and mentees sharing the highlights of their time together. Some parents were also able to attend. In many cases, though the program officially ended at this point, mentors and mentees remained in touch, the latter requiring their parents or careers permission. Feedback from parents is often difficult to gain, partly because a number of the students participating in the GR8 Mates programs were coming from difficult home situations. However, when one reflects on what a parent has seen with regard to their child’s development by the end of the program, it is so encouraging to see what is possible through a mentoring relationship. Robin Cox also believes that, in many cases, the mentees are able to return home during the mentoring program and significantly impact the lives of families and younger, even older siblings, as they share their personal experiences.